When companies hire janitors, they generally can only afford one or two. So what happens when vacation time rolls around or there's a sick day? What if the janitor isn't available right before an important meeting or a big client visit? Janitorial services don't take breaks or sick days. Whether you need a regular, reliable cleaning or just a one-time sprucing up, commercial cleaners are always available to send someone out to your business. You can't constantly monitor your janitors, and you certainly can't fire one for occasionally missing that spot behind the radiator, which is why commercial cleaning services are often more thorough than a directly hired employee. To be successful, commercial cleaners must keep a close eye on their employees and provide a high standard of service. And if one janitorial service does not meet your standards, it is substantially easier to hire a new service with little hassle. Janitorial services are flexible work schedules so you won't waste money. Not all offices require cleaning on a daily or even weekly basis, so why pay for it? Commercial cleaning services send out employees weekly, daily, monthly, or for one-time visits. 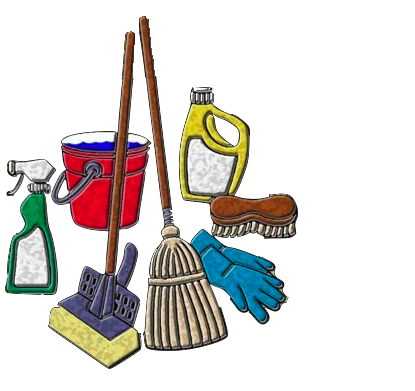 You can use a janitorial service as often as you need to and adjust accordingly. Had a particularly rowdy office Christmas party? Many companies, especially smaller offices, can't always afford specialized janitorial tools that are occasionally necessary. Not only are these tools expensive to buy and may not need to be used often, but repair and maintenance is costly and time consuming as well. Janitorial services can provide these special tools and services such as steam cleaners or carpets. The job will get done and you won't have to worry about the money or the storage o these costly tools. Stuff happens, which is why many professional cleaning services have a special emergency number that can be reached 24 hours a day. Have a sewage backup or someone couldn't quite lift the water cooler bottle? You won't have to spend the day ruining your favorite suit.